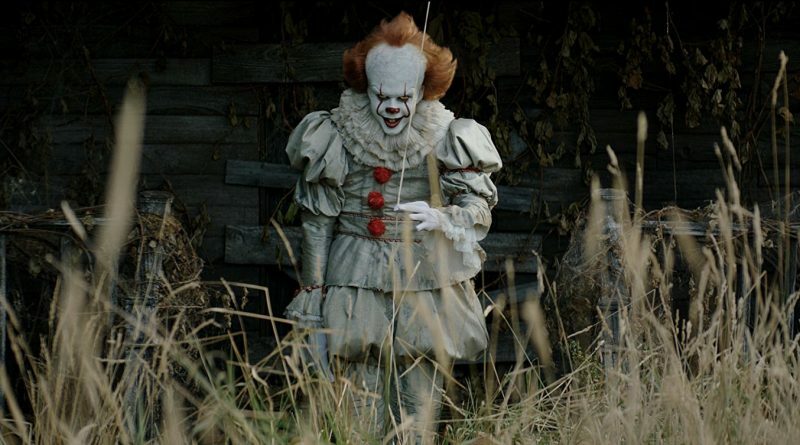 Review: Like most who have read Stephen King’s popular novel, IT, I found it utterly terrifying. King is a master storyteller and the characters and tones he brought forth in the book were fantastic. That said many times movies based on his books don’t quite turn out scary. They make for a great script due to the depth of character but I would never use scary as a word to describe them. Not like the books are. IT falls into that mold. Like The Shawshank Redemption, Stand by Me, and The Green Mile IT is a wonderful film; just don’t expect to be terrified. The film focuses only on the kids portion of the book. There are hints that a part two is coming that will recount the later part of the story when the kids are adults. I think this is a smart decision. This one is already over 2-hours long and doesn’t have to rush through the moments. I am sure the second film will feel completely different than this one. I would consider this a very R rated Goonies or Stand By Me. You can’t have a film set in the 80’s with a rag tag group of young outcasts that will not have elements of that. Youth becomes a character all its own. Which is fine. But it also tempers how you can approach and deal with certain themes and elements. The premise is simple. When several local children go missing a small group of friends, brought together by their “loser” stigma, try to find answers. Bill’s (Jaeden Lieberher) little brother Georgie is one of the missing so he is driven to discover the truth. The others are not as determined but still willing to help if for no other reason than to save themselves. 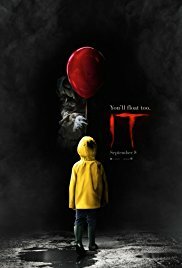 What they run into is a demented and ferocious clown named Pennywise (Bill Skarsgård) who dwells in the town’s sewer system. What Stephen King always does so brilliantly is to make humanity more terrifying than the monsters. In this one there are bullies, smothering parents, and all sort of real life terrors that haunt kids from any decade. IT and Pennywise are both there to reflect what we are all most afraid of. It can be as literal as clowns or as metaphorical as the abusive parent or mean classmates. But we all fear something and IT, at least in the book, played on that fear perfectly. 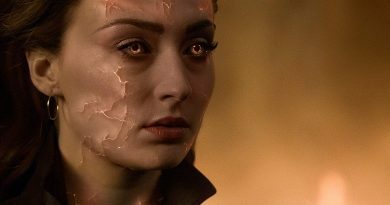 The movie does too but not nearly to the extent of the written word. There is a lot of humor in this one as well. The kids, like most in movies, are always trying to one up each other with a sarcastic jab or “put down”. This one is wall to wall boy jokes about body parts, conquests, and coming of age heroics. Again films like Goonies, The Sandlot, and Stand By Me come to mind. Only with a vicious clown instead of a junkyard dog or pirates. This changes the emotion and tone of the film considerably. Not in a bad way but it lessons the scares for sure. Don’t get me wrong. IT is a wonderful film that is perfectly adapted, directed, and shot. The scenes look amazing and Skarsgård creates a character that will long be remembered. It will be added to the top classic Stephen King based movies along with Carrie, Christine, and Stand by Me. IT is rated R for violence/horror, bloody images, and for language. Be very cautious that even though it has a cast of kids this is not a kids movie. The adult themes, disturbing images, and language earn it a very hard R. Don’t drag your 10 year old in there because “he/she doesn’t scare easy”. As mentioned earlier, the clown is the least scary part of this story. I give it 4 out of 5 sink drains. It did what it needed to in the realm of bringing the book to life and giving us tangible characters we can relate to.